In our exclusive collection we are now carrying video audio SV converter adapter cable for HDTV DVD and projectors by JOMOQ. It is of imported quality. It is having 24K gold-plated connectors, best for all HDMI standards, perfect signal transmission used to connect from PC or laptop VGA and RCA without any hassle, it is easy to install, plug and play to a TV, equipment or projector. It is of 5 feet/1.5M. Grab it now straight to your locale with the facility of cash on delivery all over in Pakistan. Remember! 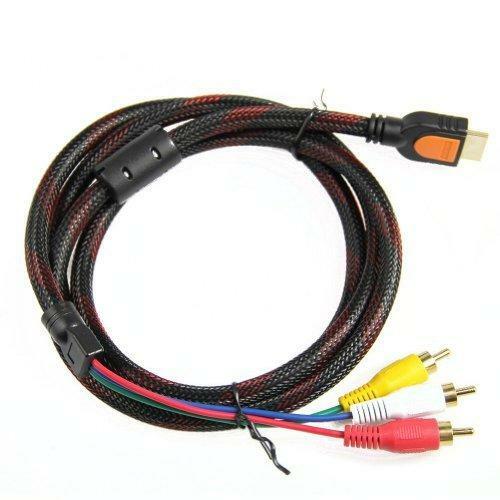 This cable require digital to analog converter prior to use, so there should be signal converter box for use this cable. It is not fit into PS3 and PS4. Note:It need a digital to analog converter before they can work,so you should have a signal converter box to use this cable.It does not fif for PS3 and PS4.